Up periscope! In Mississauga, Ontario, you’ll find their city’s newest escape room company – Hint Hunt. Originally founded in Eastern Europe, Hint Hunt now has several worldwide locations (Budapest, Dubai, London… etc) with Mississauga being their first in North America. All Hint Hunt locations offer the same escape rooms which are centrally produced in Europe and shipped worldwide. Our team’s adventure started with Deep Down which uses a unique design we’ve never seen before… and… well now we’re just getting ahead of ourselves. Let’s take a look at all the little things leading up to the room shall we? Deep Down was the first of two rooms we played during the evening, and as mentioned, it’s also one of two escape games sharing use of their submarine set. The set itself was impressive. Solid build quality, set design, and props throughout the experience. Where issues with physical components come into play is by having certain props and items you don’t interact with at all. We’ll expand on this more when we talk about puzzles, but for the most part, we really enjoyed the impressive set design. The first of two significant issues we had in Deep Down was with the room’s immersive quality. Deep Down uses a story which (like many old escape rooms) is completely revealed during the introduction and isn’t reinforced throughout the experience. This leads to no in-game story development where the participants are just going through the motions of solving puzzles. For some people in-game story development isn’t a necessity, but thankfully the industry is slowly starting to use more immersive and creative story telling. The real frustration came when we interacted with a puzzle or a prop we identified as being the next step in our adventure… only… it wasn’t. We typically found out after several attempts with various puzzles (and several minutes spent on those puzzles) we were working on puzzles for the OTHER game in the room. In fairness, our game master would eventually direct us away from the puzzles that weren’t relevant, but the time we spent on those was fairly significant, and caused frustration… and frustration always leads to disengagement, or in other words, a lack of immersion. The set design and atmosphere were incredible however and nicely compensated for the frequent feeling of being disconnected, which is why it averaged out for us in the end. Our impression of the puzzles was similar to the immersion. There are some fantastic, unique and fun puzzles in Deep Down. There were even puzzles we’ve never seen before (which is nice considering ERA team is now hovering around 800+ rooms played in North America). Dampening the highs of their impressive puzzles were some very loose, open-ended, puzzles that involved a lot more lateral and abstract thinking than we’re used to. We typically find Eastern European and Asian designers use less point to point direction and more abstract variable solutions. 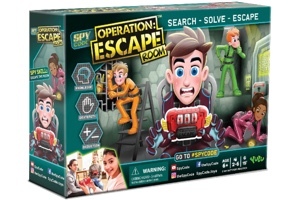 In retrospect this made sense because all of Hint Hunt’s games are designed in Europe so you’ll need to approach parts of this room differently than you would in other escape rooms. 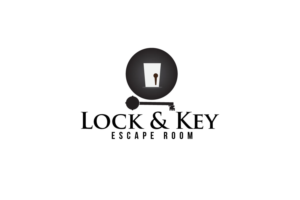 New escape room players may even have an advantage over experienced players in this room. Overall the puzzles were very good, but again some minor frustration was there when we’d work on a puzzle but have nothing happen because it was for the other game within the room. So was it fun? Yeah, it wasn’t bad. To use an analogy, this room is like a really good looking European friend you love hanging out with. He/she does things a bit differently than your North American friends, but those cultural quirks make the relationship interesting… if only they didn’t have their younger brother around all the time who also wants to get your attention! This room is just like that. 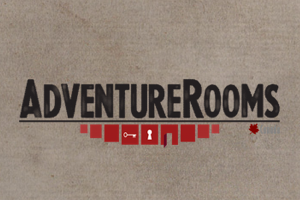 A fun and attractive room, the puzzles are unique, but because another game coexists in the same room you’re bound to be a bit annoyed when it sometimes gets in the way… Deep Down is best for a group of 4-5 players, and unlike most escape rooms, you probably want teammates who’ve never played an escape room before to help with certain puzzles.